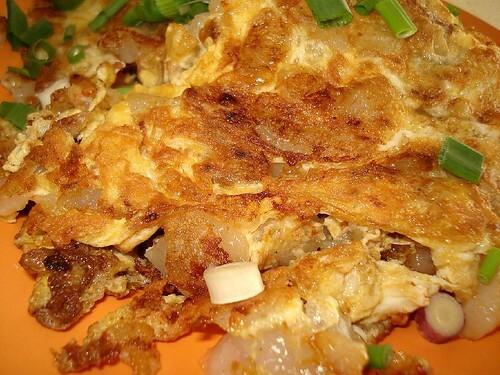 Fried Carrot Cake - White Version, originally uploaded by Camemberu. Does this look good? White version carrot cake (really more radish cake) with crispy egg and lots of spring onions. I love crispy egg! Unfortunately, it didn't taste as good as it looked. Very bland and unsatisfying. Missing lots of seasoning and the most criticial ingredient - preserved radish "chye poh"! Even the S$4 upsized portion didn't see any generosity in this department. 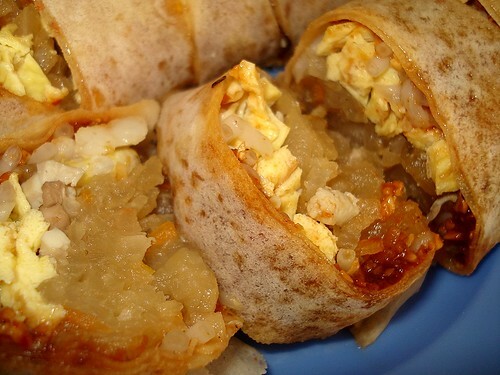 Popiah, originally uploaded by Camemberu. 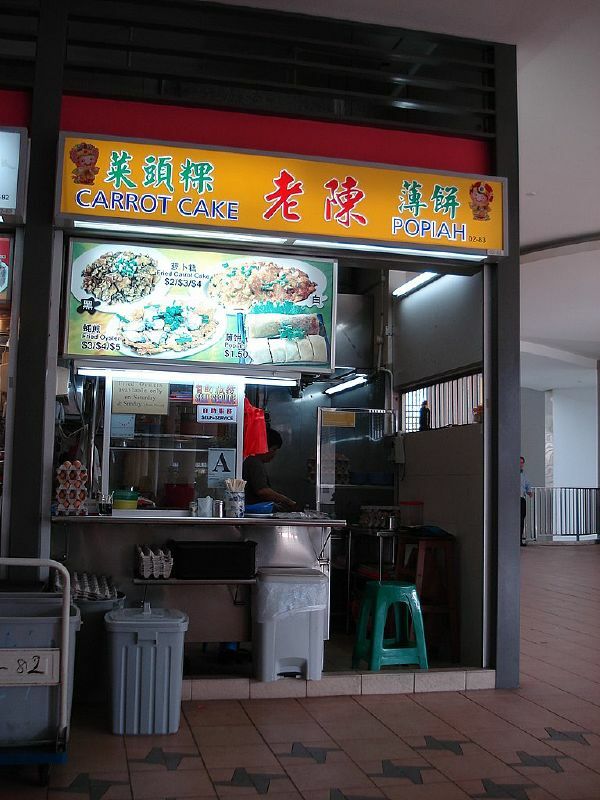 This stall at the revamped Tiong Bahru Food Centre also sells popiah. I can't say it was tasty either. The turnips tasted really earthy and "rustic" - as though not well-washed or something. Pretty pricey too for S$1.50 a roll (well, it had bits of shrimp in it). I won't name the stall but if you really must know, you can take a peek at its shopfront here. nice blog =) but shldnt have read this at 3am in the morning while mugging on an empty stomach cos of papers starting at 9am! didn't i see an "A" rating? guess cleanliness doesn't translate to good food. Kong-Kay: Yes, the "A" is for cleanliness, and as we all know, that is often inversely proportionate to how tasty the food is!